For his father, the American physician and poet, see Oliver Wendell Holmes Sr.
Oliver Wendell Holmes Jr. (March 8, 1841 – March 6, 1935) was an American jurist who served as an Associate Justice of the Supreme Court of the United States from 1902 to 1932, and as Acting Chief Justice of the United States in January–February 1930. Noted for his long service, concise and pithy opinions, and deference to the decisions of elected legislatures, he is one of the most widely cited United States Supreme Court justices in history, particularly for his "clear and present danger" opinion for a unanimous Court in the 1919 case of Schenck v. United States, and is one of the most influential American common law judges, honored during his lifetime in Great Britain as well as the United States. Holmes retired from the court at the age of 90, making him the oldest justice in the Supreme Court's history. He also served as an Associate Justice and as Chief Justice of the Massachusetts Supreme Judicial Court, and was Weld Professor of Law at his alma mater, Harvard Law School. Profoundly influenced by his experience fighting in the American Civil War, Holmes helped move American legal thinking towards legal realism, as summed up in his maxim: "The life of the law has not been logic; it has been experience." Holmes espoused a form of moral skepticism and opposed the doctrine of natural law, marking a significant shift in American jurisprudence. In one of his most famous opinions, his dissent in Abrams v. United States (1919), he regarded the United States Constitution as "an experiment, as all life is an experiment" and believed that as a consequence "we should be eternally vigilant against attempts to check the expression of opinions that we loathe and believe to be fraught with death." During his tenure on the Supreme Court, to which he was appointed by President Theodore Roosevelt, he supported efforts for economic regulation and advocated broad freedom of speech under the First Amendment. These positions as well as his distinctive personality and writing style made him a popular figure, especially with American progressives. His jurisprudence influenced much subsequent American legal thinking, including judicial consensus supporting New Deal regulatory law, and influential schools of pragmatism, critical legal studies, and law and economics. He was one of only a handful of justices to be known as a scholar; The Journal of Legal Studies has identified Holmes as the third-most cited American legal scholar of the 20th century. Holmes was born in Boston, Massachusetts, to the prominent writer and physician Oliver Wendell Holmes Sr. and abolitionist Amelia Lee Jackson. Dr. Holmes was a leading figure in Boston intellectual and literary circles, Mrs. Holmes was connected to the leading families; Henry James Sr., Ralph Waldo Emerson and other transcendentalists were family friends. Known as "Wendell" in his youth, Holmes, Henry James Jr. and William James became lifelong friends. Holmes accordingly grew up in an atmosphere of intellectual achievement, and early formed the ambition to be a man of letters like Emerson. While still in Harvard College he wrote essays on philosophic themes, and asked Emerson to read his attack on Plato's idealist philosophy. Emerson famously replied, "If you strike at a king, you must kill him." He supported the Abolitionist movement that thrived in Boston society during the 1850s. At Harvard, he was a member of the Hasty Pudding and the Porcellian Club; his father had also been a member of both clubs. In the Pudding, he served as Secretary and Poet, as his father did. He enlisted in the Massachusetts militia in the spring of 1861, when the president first called for volunteers following the firing on Fort Sumter, but returned briefly to Harvard College to participate in commencement exercises. In the summer of 1861 with his father's help he obtained a lieutenant's commission in the Twentieth Massachusetts Volunteer Infantry. Holmes's early life was described in detail by Mark DeWolfe Howe, Justice Oliver Wendell Holmes – The Shaping Years, 1841–1870 (1957). During his senior year of college, at the outset of the American Civil War, Holmes enlisted in the fourth battalion, Massachusetts militia, then received a commission as first lieutenant in the Twentieth Regiment of Massachusetts Volunteer Infantry. He saw much action, taking part in the Peninsula Campaign, the Battle of Fredricksburg and the Wilderness, suffering wounds at the Battle of Ball's Bluff, Antietam, and Chancellorsville, and suffered from a near-fatal case of dysentery. He particularly admired and was close to Henry Livermore Abbott, a fellow officer in the 20th Massachusetts. Holmes rose to the rank of lieutenant colonel, but eschewed promotion in his regiment and served on the staff of the VI Corps during the Wilderness Campaign. Abbott took command of the regiment in his place, and was later killed. Holmes is said to have shouted to Abraham Lincoln to take cover during the Battle of Fort Stevens, although this is commonly regarded as apocryphal. Holmes himself expressed uncertainty about who had warned Lincoln ("Some say it was an enlisted man who shouted at Lincoln; others suggest it was General Wright who brusquely ordered Lincoln to safety. But for a certainty, the 6 foot 4 inch Lincoln, in frock coat and top hat, stood peering through field glasses from behind a parapet at the onrushing rebels. ... ") and other sources state he likely was not present on the day Lincoln visited Fort Stevens. Holmes received a brevet (honorary) promotion to colonel in recognition of his services during the war. He retired to his home in Boston after his three-year enlistment ended in 1864, weary and ill, his regiment disbanded. In the summer of 1864, Holmes returned to the family home in Boston, wrote poetry, and debated philosophy with his friend William James, pursuing his debate with philosophic idealism, and considered reenlisting. But by the fall, when it became clear that the war would soon end, Holmes enrolled in Harvard Law School, "kicked into the law" by his father, as he later recalled. He attended lectures there for a single year, reading extensively in theoretical works, and then clerked for a year in his cousin Robert Morse's office. He was admitted to the bar in 1866, and after a long visit to London, to complete his education, went into law practice in Boston. He joined a small firm, and in 1872 married a childhood friend, Fanny Bowditch Dixwell, buying a farm in Mattapoisett, Massachusetts, the following year. Their marriage lasted until her death on April 30, 1929. They never had children together. They did adopt and raise an orphaned cousin, Dorothy Upham. Fanny disliked Beacon Hill society, and devoted herself to embroidery. She was described as devoted, witty, wise, tactful, and perceptive. Whenever he could, Holmes visited London during the social season of spring and summer, and during the years of his work as a lawyer and judge in Boston, he formed romantic friendships with English women of the nobility, with whom he corresponded while at home in the United States. The most important of these was his friendship with the Anglo-Irish Clare Castletown, the Lady Castletown, whose family estate in Ireland, Doneraile Court, he visited several times, and with whom he may have had a brief affair. He formed his closest intellectual friendships with British men, and became one of the founders of what was soon called the "sociological" school of jurisprudence in Great Britain, followed a generation later by the "legal realist" school in America. Holmes practiced admiralty law and commercial law in Boston for fifteen years. It was during this time that he did his principal scholarly work, serving as an editor of the new American Law Review, reporting decisions of state supreme courts, and preparing a new edition of Kent's Commentaries, which served practitioners as a compendium of case law, at a time when official reports were scarce and difficult to obtain. He summarized his hard-won understanding in a series of lectures, collected and published as The Common Law in 1881. The life of the law has not been logic; it has been experience. The felt necessities of the time, the prevalent moral and political theories, intuitions of public policy, avowed or unconscious, and even the prejudices which judges share with their fellow-men, have had a good deal more to do than syllogism in determining the rules by which men should be governed. The law embodies the story of a nation's development through many centuries, and it cannot be dealt with as if it contained only the axioms and corollaries of a book of mathematics. In the book, Holmes set forth his view that the only source of law, properly speaking, was a judicial decision enforced by the state. Judges decided cases on the facts, and then wrote opinions afterward presenting a rationale for their decision. The true basis of the decision was often an "inarticulate major premise", however. A judge was obliged to choose between contending legal arguments, each posed in absolute terms, and the true basis of his decision was sometimes drawn from outside the law, when precedents were lacking or were evenly divided. The common law evolves because civilized society evolves, and judges share the common preconceptions of the governing class. These views endeared Holmes to the later advocates of legal realism, and made him one of the early founders of law and economics jurisprudence. The Common Law is the only major scholarly work written by a practicing attorney. Holmes famously contrasted his own scholarship with the abstract doctrines of Christopher Columbus Langdell, dean of Harvard Law School, who viewed the common law as a self-enclosed set of doctrines. Holmes viewed Langdell's work as akin to the German philosophic idealism he had for so long resisted, opposing it with his own scientific materialism. We cannot all be Descartes or Kant, but we all want happiness. And happiness, I am sure from having known many successful men, cannot be won simply by being counsel for great corporations and having an income of fifty thousand dollars. An intellect great enough to win the prize needs other food beside success. The remoter and more general aspects of the law are those which give it universal interest. It is through them that you not only become a great master in your calling, but connect your subject with the universe and catch an echo of the infinite, a glimpse of its unfathomable process, a hint of the universal law. Holmes was considered for a federal court judgeship in 1878 by President Rutherford B. Hayes, but Massachusetts Senator George Frisbie Hoar persuaded Hayes to nominate another candidate. In the fall of 1882, Holmes became a professor at Harvard Law School, accepting an endowed professorship which had been created for him, largely through the efforts of Louis D. Brandeis. On Friday December 8, 1882, Supreme Judicial Court of Massachusetts associate justice Otis Lord decided to resign, however, giving outgoing Republican governor John Davis Long a chance to appoint his successor, if it could be done before the Massachusetts Governor's Council adjourned at 3 pm. Holmes' partner George Shattuck proposed him for the vacancy, Holmes quickly agreed, and there being no objection by the Council, took the oath of office on December 15, 1882. His resignation, after only a few weeks and without notice, was resented by the law school faculty, giving rise to persisting estrangement. On August 2, 1899, Holmes became Chief Justice of the Massachusetts Supreme Judicial Court following the death of Walbridge A. Field. During his service on the Massachusetts court, Holmes continued to develop and apply his views of the common law, usually following precedent faithfully. He issued few constitutional opinions in these years, but carefully developed the principles of free expression as a common-law doctrine. He departed from precedent to recognize workers' right to organize trade unions and to strike, as long as no violence was involved, and coercion was not exerted through impermissible means such as secondary boycotts, stating in his opinions that fundamental fairness required that workers be allowed to combine to compete on an equal footing with employers. He continued to give speeches and to write articles that added to or extended his work on the common law, most notably "Privilege, Malice and Intent", in which he presented his view of the pragmatic basis of the common-law privileges extended to speech and the press, which could be defeated by a showing of malice, or of specific intent to harm. This argument would later be incorporated into his famous opinions concerning the First Amendment. He also published an address, "The Path of the Law", in which he enlarged upon his view of the law from the perspective of a practitioner concerned for the interests of his client, who might be a bad man unconcerned with moral absolutes. On August 11, 1902, President Theodore Roosevelt nominated Holmes to a seat on the United States Supreme Court vacated by Justice Horace Gray, who had retired in July 1902 as a result of illness. The nomination was made on the recommendation of Senator Henry Cabot Lodge, the junior senator from Massachusetts, but was opposed by the senior senator and chairman of the Senate Judiciary Committee, George Frisbie Hoar. Hoar was a strenuous opponent of imperialism, and the legality of the annexation of Puerto Rico and the Philippines was expected to come before the Court. Lodge, like Roosevelt, was a strong supporter of imperialism, which Holmes was expected to support as well. As a result of Hoar's opposition, there was a delay in the vote for confirmation, but on December 2, 1902, Roosevelt resubmitted the nomination and Holmes was unanimously confirmed by the United States Senate on December 4, receiving his commission the same day. On the bench, Holmes did vote to support the administration's position favoring the annexation of former Spanish colonies in the "Insular Cases". However, he later disappointed Roosevelt by dissenting in Northern Securities Co. v. United States, a major antitrust prosecution; the majority of the court, however, did rule against Holmes and sided with Theodore Roosevelt's belief that Northern Securities violated the Sherman Antitrust Act. The dissent by Holmes permanently damaged his formerly close relationship with Theodore Roosevelt. Holmes was known for his pithy, short, and frequently quoted opinions. In more than twenty-nine years on the Supreme Court bench, he ruled on cases spanning the whole range of federal law. He is remembered for prescient opinions on topics as widely separated as copyright, the law of contempt, the antitrust status of professional baseball, and the oath required for citizenship. Holmes, like most of his contemporaries, viewed the Bill of Rights as codifying privileges obtained over the centuries in English and American common law, and was able to establish that view in numerous opinions of the Court. He is considered one of the greatest judges in American history, and embodies for many the traditions of the common law, which are now challenged by Originalists who insist the text of the Constitution trumps any common law precedents that depart from the original understanding of its meaning. 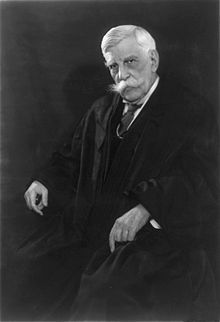 From the departure of William Howard Taft on February 3, 1930 until Charles Evans Hughes took office on February 24, 1930, Holmes briefly acted as the Chief Justice and presided over court sessions. Beginning with his first opinion for the Court in Otis v. Parker, Holmes declared that "due process of law," the fundamental principle of fairness, protected people from unreasonable legislation but was limited only to those fundamental principles enshrined in the common law and did not protect most economic interests. In a series of opinions surrounding the World War I Espionage Act of 1917 and the Sedition Act of 1918, he held that the freedom of expression guaranteed by federal and state constitutions simply declared a common-law privilege for speech and the press, even when those expressions caused injury, but that privilege would be defeated by a showing of malice, or intent to do harm. Holmes came to write three unanimous opinions for the Supreme Court that arose from prosecutions under the 1917 Espionage Act because in an earlier case, Baltzer v. United States, he had circulated a powerfully expressed dissent, when the majority had voted to uphold a conviction of immigrant socialists, who had circulated a petition criticizing the draft. Apparently learning that he was likely to publish this dissent, the Government (perhaps alerted by Justice Louis D. Brandeis, newly appointed by President Woodrow Wilson) abandoned the case, and it was dismissed by the Court. The Chief Justice then asked Holmes to write opinions in which they could be unanimous, upholding convictions in three similar cases, where there were jury findings that speeches or leaflets were published with an intent to obstruct the draft, a crime under the 1917 law. Although there was no evidence that the attempts had succeeded, Holmes held for a unanimous Court that an attempt, purely by language, could be prosecuted in cases where the expression, in the circumstances in which it was uttered, posed a "clear and present danger" of causing some harm that the legislature had properly forbidden. In Schenck v. United States, Holmes announced this doctrine for a unanimous Court, famously declaring that the First Amendment could not be understood to provide an absolute right, and would not protect a person "falsely shouting fire in a theater and causing a panic." Although much criticized, Schenck remains an important precedent, and still governs cases in which expressions are intended to cause harm, or threaten to cause imminent lawless action. [W]hen men have realized that time has upset many fighting faiths, they may come to believe ... that the best test of truth is the power of the thought to get itself accepted in the competition of the market, and that truth is the only ground upon which their wishes can safely be carried out. That, at any rate, is the theory of Constitution. It is an experiment, as all life is an experiment. In writing this dissent, Holmes may have been influenced by Zechariah Chafee's article "Freedom of Speech in War Time". Chafee had criticized Holmes's opinion in Schenck for failing to express in more detail and more clearly the common-law doctrines upon which he relied. In his Abrams dissent, Holmes did elaborate somewhat on the decision in Schenck, roughly along the lines that Chafee had suggested. Although Holmes evidently believed that he was adhering to his own precedent, some later commentators accused Holmes of inconsistency, even of seeking to curry favor with his young admirers. In Abrams, the majority opinion did rely on the clear-and-present-danger formulation of Schenck, claiming that the leaflets showed the necessary intent, and ignoring the point that they were unlikely to have any effect. In later opinions, the Supreme Court departed from this line of reasoning where the validity of a statute was in question, adopting the principle that a legislature could properly declare that some forms of speech posed a clear and present danger, regardless of the circumstances in which they were uttered. Holmes continued to dissent. In 1920, in the case Silverthorne Lumber Co. v. United States, Holmes ruled that any evidence obtained, even indirectly, from an illegal search was inadmissible in court. He reasoned that otherwise, police would have an incentive to circumvent the Fourth Amendment to obtain derivatives of the illegally obtained evidence, so any evidence resulting from this must be discouraged. This later became known as the "fruit of the poisonous tree". We have seen more than once that the public welfare may call upon the best citizens for their lives. It would be strange if it could not call upon those who already sap the strength of the State for these lesser sacrifices, often not felt to be such by those concerned, to prevent our being swamped with incompetence. It is better for all the world, if instead of waiting to execute degenerate offspring for crime, or to let them starve for their imbecility, society can prevent those who are manifestly unfit from continuing their kind. The principle that sustains compulsory vaccination is broad enough to cover cutting the Fallopian tubes. ... Three generations of imbeciles are enough. Although the opinion and eugenics remain controversial, the decision in the case still stands. Sterilization rates under eugenics laws in the United States climbed from 1927 until Skinner v. Oklahoma, 316 U.S. 535 (1942). While Skinner v. Oklahoma did not specifically overturn Buck v. Bell, it created enough of a legal quandary to discourage many sterilizations. Buck v. Bell was cited as a precedent by the opinion of the court (part VIII) in Roe v. Wade, but not in support of abortion rights. To the contrary, Justice Blackmun quoted it to justify that the constitutional right to abortion isn't unlimited. ... he does an act which a person of ordinary prudence would foresee is likely to cause death ..., and he is dealt with as if he foresaw it, whether he does so in fact or not. If a death is caused by the act, he is guilty of murder. But if the workman has a reasonable cause to believe that the space below is a private yard from which everyone is excluded, and which is used as a rubbish-heap, his act is not blameworthy, and the homicide is a mere misadventure. This "objective standard" adopted by common-law judges, Holmes thought, reflected a shift in community standards, away from condemnation of a person's act toward an impersonal assessment of its value to the community. In the modern world, the advances made in biology and the social sciences should allow a better conscious determination of the results of individual acts and the proper measure of liability for them. This belief in the pronouncements of science concerning social welfare, although he later doubted its applicability to law in many cases, accounts for his enthusiastic endorsement of eugenics in his writings, and his opinion in the case of Buck v. Bell. In 1881, in The Common Law, Holmes brought together into a coherent whole his earlier articles and lectures concerning the history of the common law, judicial decisions in England and the United States, which he interpreted from the perspective of a practicing lawyer. What counted as law, to a lawyer, was what judges did in particular cases. Law was what the state would enforce, through violence if necessary; echoes of his experience in the Civil War were always present in his writings. Judges decided where and when the force of the state would be brought to bear, and judges in the modern world tended to consult facts and consequences when deciding what conduct to punish. The decisions of judges, viewed over time, determined the rules of conduct, the legal duties, by which all were bound. Judges did not and should not consult any external system of morality, certainly not a system imposed by the Deity. His belief that law, properly speaking, was a set of generalizations from what judges had done in similar cases, determined his view of the Constitution of the United States. As a justice of the U.S. Supreme Court, Holmes rejected the argument that the text of the Constitution should be applied directly to cases that came before the court, as if it were a statute. He shared with most of his fellow judges the belief that the Constitution carried forward principles derived from the common law, principles that continued to evolve in American courts. The text of the Constitution itself, as originally understood, was not a set of rules, but only a directive to courts to consider the body of the common law when deciding cases that arose under the Constitution. It followed that constitutional principles adopted from the common law were evolving, as the law itself evolved: "A word [in the Constitution] is not a crystal, transparent and unchanged, but the skin of a living thought. ... "
The provisions of the Constitution are not mathematical formulas that have their essence in form, they are organic, living institutions transplanted from English soil. Their significance is vital, not formal; it is to be gathered not simply by taking the words and a dictionary but by considering their origin and the line of their growth. Nevertheless, in rejecting morality as a form of natural law outside of human enactments, and superior to them, Holmes was not rejecting moral principles that were the result of enforceable law. "The law is the witness and external deposit of our moral life. Its history is the history of the moral development of the race. The practice of it, in spite of popular jests, tends to make good citizens and good men. When I emphasize the difference between law and morals I do so with reference to a single end, that of learning and understanding the law. ":457 Holmes' insistence on the material basis of law, on the facts of a case, has led some to characterize him as unfeeling, however. George Washington University law professor Jeffrey Rosen summarized Holmes' views this way: "Holmes was a cold and brutally cynical man who had contempt for the masses and for the progressive laws he voted to uphold." Although Holmes did not dissent frequently – during his 29 years of service, he wrote only 72 separate opinions, whereas he penned 852 majority opinions, his dissents were often prescient and acquired so much authority that he became known as "The Great Dissenter." Chief Justice Taft complained that "his opinions are short, and not very helpful." Two of his most famous dissents were in Abrams v. United States and Lochner v. New York. Only Holmes's legal writings were readily available during his life and in the first years after his death, but he confided his thoughts more freely in talks, often to limited audiences, and more than two thousand letters that have survived. Holmes's executor, John Gorham Palfrey, diligently collected Holmes's published and unpublished papers and donated them (and their copyrights) to Harvard Law School. Harvard Law Professor Mark DeWolfe Howe undertook to edit the papers and was authorized by the school to publish them and to prepare a biography of Holmes. Howe published several volumes of correspondence, beginning with Holmes's correspondence with Frederick Pollock, and a volume of Holmes's speeches, before his untimely death. Howe's work formed the basis of much subsequent Holmes scholarship. I rejoice at every dangerous sport which I see pursued. The students at Heidelberg, with their sword-slashed faces, inspire me with sincere respect. I gaze with delight upon our polo-players. If once in a while in our rough riding a neck is broken, I regard it not as a waste, but as a price well paid for the breeding of a race fit for headship and command. This talk was widely reprinted and admired at the time, and may have contributed to the popular name given by the press to the 1st United States Volunteer Cavalry (the "Rough Riders") during the Spanish–American War. Many of Holmes's closest male friends were in England and he corresponded with them regularly and at length, speaking usually of his work. Letters to friends in England such as Harold Laski and Frederick Pollock contain frank discussion of his decisions and his fellow justices. In the United States, letters to male friends Morris R. Cohen, Lewis Einstein, Felix Frankfurter, and Franklin Ford are similar, although the letters to Frankfurter are especially personal. Holmes's correspondence with women in Great Britain and the U.S. was at least as extensive, and in many ways more revealing, but these series of letters have not been published. 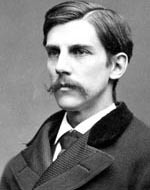 An extensive selection of letters to Claire Castletown, in Ireland, is included in Honorable Justice, The Life of Oliver Wendell Holmes. These letters are closer to Holmes's conversation, and cast light upon the style he adopted in judicial opinions, which were often designed to read aloud. In a letter to a contemporary, Holmes made this comment on international comparisons: "Judge not a people by the ferocity of its men, but by the steadfastness of its women." 1978 postage stamp issued by the U.S. Post Office to commemorate Oliver Wendell Holmes Jr.
Holmes was widely admired during his last years, and on his ninetieth birthday was honored on one of the first coast-to-coast radio broadcasts, during which the Chief Justice, the Dean of Yale Law School, and the president of the American Bar Association read encomia; the Bar Association presented him with a gold medal. Notably, Alger Hiss clerked for Holmes during his last year on the Court. Holmes served on the court until January 12, 1932, when his brethren on the court, citing his advanced age, suggested that the time had come for him to step down. By that time, at 90 years of age, he was the oldest justice to serve in the court's history. On his ninety-second birthday, newly inaugurated President Franklin Delano Roosevelt and his wife Eleanor called on Holmes at his house in Washington. Holmes died of pneumonia in Washington, D.C. in 1935, two days short of his 94th birthday. In his will, Holmes left his residuary estate to the United States government (he had earlier said that "taxes are what we pay for civilized society" in Compañia General de Tabacos de Filipinas vs. Collector of Internal Revenue, 275 U.S. 87, 100 (1927).) After his death, his personal effects included his Civil War Officer's uniform still stained with his blood and 'torn with shot' as well as the carefully wrapped Minié balls that had wounded him three times in separate battles. He was buried in Arlington National Cemetery. The United States Postal Service honored Holmes with a Prominent Americans series (1965–1978) 15¢ postage stamp. Holmes's papers, donated to Harvard Law School, were kept closed for many years after his death, a circumstance that gave rise to somewhat fanciful accounts of his life. Catherine Drinker Bowen's fictionalized biography Yankee from Olympus was a long-time bestseller, and the 1950 Hollywood motion picture The Magnificent Yankee was based on a biography of Holmes by Francis Biddle, who had been one of his secretaries. Much of the scholarly literature addressing Holmes's opinions was written before much was known about his life, and before a coherent account of his views was available. The Harvard Law Library eventually relented and made available to scholars the extensive Holmes papers, collected and annotated by Mark DeWolfe Howe, who died before he was able to complete his own biography of the justice. In 1989, the first full biography based on Holmes's papers was published, and several other biographies have followed. Congress established the "Holmes Devise" and the funds he left to the United States were used to create a garden at the Supreme Court's building and to publish an edition of his collected works. Holmes' summer house in Beverly, Massachusetts, was designated a National Historic Landmark in 1972, recognition for his contributions to American jurisprudence. Justice Holmes was an honorary member of the Connecticut Society of the Cincinnati. American actor Louis Calhern portrayed Holmes in the 1946 play The Magnificent Yankee, with Dorothy Gish as Holmes's wife Fanny. In 1950, Calhern repeated his performance in Metro-Goldwyn-Mayer's film version The Magnificent Yankee, for which he received his only Academy Award nomination. Ann Harding co-starred in the film. A 1965 television adaptation of the play starred Alfred Lunt and Lynn Fontanne in one of their few appearances on the small screen. This responsibility will not be found only in documents that no one contests or denies. It will be found in considerations of a political or social nature. It will be found, most of all in the character of men. This was in relation to Holmes' support for eugenics laws in the United States, which Rolfe argued were not different in principle from the Nazi laws. Rolfe also quoted Holmes in Buck v. Bell, "Three generations of imbeciles are enough." It should be noted that in the earlier Playhouse 90 television version from 1959, which also quotes Holmes in this context, the tribunal judge Ives, who ultimately presents a dissenting verdict, is played by the actor Wendell Holmes (1914-62), born Oliver Wendell Holmes. Holmes appears as a minor character in Bernard Cornwell's novels Copperhead and The Bloody Ground, the second and fourth volumes of his Starbuck Chronicles; the novels portray the battles of Ball's Bluff and Antietam, in both of which the young Lieutenant Holmes was wounded in action. The 1960s television sitcom, Green Acres starred Eddie Albert as a character named "Oliver Wendell Douglas", a Manhattan "white shoe" lawyer who gives up the law to become a farmer. ^ Supporting this connection is his brief membership in the informal Metaphysical Club which met in the 1870s, and included Henry and William James, and the philosopher Charles Peirce. Menand, Louis (2002). The Metaphysical Club: A Story of Ideas in America. ^ "Federal Judicial Center: Oliver Wendell Holmes". 2009-12-11. Archived from the original on 2009-05-14. Retrieved 2009-12-11. ^ a b c d Holmes, Oliver Wendell Jr. (1881). The Common Law. I. Boston: Little, Brown and Company. ^ Abrams v. United States, 250 U.S. 616, 630 (1919). ^ Louis Menand, ed., Pragmatism: A Reader. New York: Vintage Books, 1997, pp. xxix. ^ Shapiro, Fred R. (2000). "The Most-Cited Legal Scholars". Journal of Legal Studies. 29 (1): 409–426. doi:10.1086/468080. ^ Sheldon Novick, Honorable Justice: The Life of Oliver Wendell Holmes, Little, Brown and Company, 1989, p. 26. ^ James M. McPherson, Battle Cry of Freedom. (New York, 1988) 757. ^ James G. Randall and Richard N. Current, Lincoln the President: Last Full Measure (New York, 1955), 200. ^ Benjamin P. Thomas, Abraham Lincoln: A Biography (New York, 1952), 434. ^ G. Edward White, Justice Oliver Wendell Holmes: Law and the Inner Self. New York, 1993, 64–65. ^ "Oliver Wendell Holmes Quote "Get Down, You Damn Fool" Warning to Abraham Lincoln at Battle of Fort Stevens | Shapell Manuscript Foundation". Shapell.org. 1922-06-14. Retrieved 2016-03-10. ^ Sheldon Novick, Honorable Justice: The Life of Oliver Wendell Holmes pp. 372, 422 n.
^ Sheldon Novick, Honorable Justice: The Life of Oliver Wendell Holmes (1989, 2013), p. 96. ^ Novick Honorable Justice, pp. 207–220. ^ Mark DeWolfe Howe, Justice Oliver Wendell Holmes: The Proving Years, 1870-1882 (1963). ^ J.A. Garraty, "Holmes's appointment to the Supreme Court," 22 New England Quarterly 469 (1951). ^ a b Northern Securities Co. v. U.S., 193 U.S. 197 (1904). ^ Wagner, Richard H. (2002). "A Falling Out: The Relationship Between Oliver Wendell Holmes and Theodore Roosevelt". Journal of Supreme Court History. 27 (2): 114–137. doi:10.1111/1540-5818.00039. ^ Chafee, Zechariah (1919). "Freedom of Speech in Wartime". Harvard Law Review. 32 (8): 932–973. JSTOR 1327107. ^ Ragan, Fred D. (1971). "Justice Oliver Wendell Holmes, Jr., Zechariah Chafee, Jr., and the Clear and Present Danger Test for Free Speech: The First Year, 1919". Journal of American History. 58 (1): 24–45. JSTOR 1890079. ^ Lombardo, Paul A. (2008). Three Generations, No Imbeciles: Eugenics, the Supreme Court, and Buck v. Bell. Baltimore: Johns Hopkins University Press. pp. 240–241 et al. ISBN 978-0-8018-9010-9. ^ Gould, Stephen Jay (July 1984). "Carrie Buck's Daughter" (PDF). Natural History. Retrieved 10 June 2014. ^ Buck v. Bell , 274 U.S. 200 (1927). ^ "Roe v. Wade | US Law | LII / Legal Information Institute". Law.cornell.edu. Retrieved 2016-03-10. ^ a b Sutton, John (2001). Law/Society: Origins, Interactions, Change. Pine Forge Press. ^ O.W. Holmes, "Law in Science and Science in Law," 12 Harv. L. Rev. 442 (1899); "The Path of the Law," 10 Harv. L. Rev. 457 (1897). ^ a b c Biddle, Francis (1960). Justice Holmes, Natural Law and the Supreme Court. New York: Macmillan. Retrieved 10 June 2014. ^ Southern Pacific Co. v. Jensen, 244 U.S. 205, 222 (1917) (dissent). ^ Holmes (19 January 1928) Letter to Frederick Pollack, rpt. in Holmes (1997). Posner, Richard A., ed. The Essential Holmes: Selections from the Letters, Speeches, Judicial Opinions, and Other Writings of Oliver Wendell Holmes, Jr. Chicago: University of Chicago Press. ISBN 0226675548. Retrieved 10 June 2014. ^ Jeffrey Rosen, "Brandeis's Seat, Kagan's Responsibility". New York Times, July 2, 2010. Accessed July 5, 2010. ^ "Books: The Great Dissenter". Time. May 8, 1944. Retrieved May 20, 2010. ^ Oliver Wendell Holmes Jr.; Frederick Pollack; Mark DeWolfe Howe. Holmes-Pollock Letters: The Correspondence of Mr Justice Holmes and Sir Frederick Pollock, 1874–1932, Two Volumes in One. Amazon.com (2nd ed.). ISBN 9780674405509. ^ Oliver Wendell Holmes, Jr.; Mark DeWolfe Howe. "The Occasional Speeches of Justice Oliver Wendell Holmes". Hup.harvard.edu. Retrieved 2016-03-10. ^ "The Collected Works of Justice Holmes: Complete Public Writings and Selected Judicial Opinions of Oliver Wendell Holmes, Holmes, Novick, Griswold". Press.uchicago.edu. Retrieved 2016-03-10. ^ The Collected Papers of Justice Holmes, vol. 3. ^ "Plunkett Lake Press". Plunkett Lake Press. 1989-08-20. Retrieved 2016-03-10. ^ "Welcome to the Oliver Wendell Holmes Digital Suite". Library.law.harvard.edu. Retrieved 2016-03-10. ^ "Historical Information: Biography of Oliver Wendell Holmes, Associate Justice of the Supreme Court of the United States". Arlington National Cemetery. Arlingtoncemetery.org. Accessed July 5, 2010. ^ Sheldon Novick, Honorable Justice: The Life of Oliver Wendell Holmes (1989, 2013). ^ Holmes (1995). Novick, Sheldon M., ed. The Collected Works of Justice Holmes (The Holmes Devise Memorial ed.). University of Chicago Press. ISBN 0226349667. ^ "NHL summary description for Oliver Wendell Holmes House". National Park Service. Archived from the original on 2012-10-02. Retrieved 2014-11-16. ^ Hiss, Tony (1999). The View from Alger's Window: A Son's Memoir. Alfred E. Knopf. pp. 16 ("Prossy"), 35 (courtship), 36 ("Hill"), 37 (Quakerisms, Roberta Murray Fansler), 89 (Buttenweiser, Bernard), 132–134 (clerks). Retrieved 29 October 2017. Alschuler, Albert W. (2000). Law Without Values: The Life, Work, and Legacy of Justice Holmes. Chicago: University of Chicago Press. ISBN 0-226-01520-3. This article incorporates text from a publication now in the public domain: Chisholm, Hugh, ed. (1911). "Holmes, Oliver Wendell" . Encyclopædia Britannica. 13 (11th ed.). Cambridge University Press. Frankfurter, Felix (1916). "The Constitutional Opinions of Justice Holmes". Harvard Law Review. 29 (6): 683–702. doi:10.2307/1326500. JSTOR 1326500. Goodwin, Doris Kearns (2005). Team of Rivals: The Political Genius of Abraham Lincoln. New York: Simon & Schuster. ISBN 0-7432-7075-4. Healy, Thomas (2013). The Great Dissent: How Oliver Wendell Holmes Changed His Mind – and Changed the History of Free Speech in America. New York: Metropolitan Books. ISBN 0-805-09456-3. Holmes, Oliver Wendell (1995). The Collected Works of Justice Holmes (S. Novick, ed.). Chicago: University of Chicago Press. ISBN 0-226-34966-7. Posner, Richard A., ed. (1992). The Essential Holmes: Selections from the Letters, Speeches, Judicial Opinions and Other Writings of Oliver Wendell Holmes, Jr. University of Chicago Press. ISBN 0-226-67554-8. Cushman, Clare, The Supreme Court Justices: Illustrated Biographies,1789-1995 (2nd ed.) (Supreme Court Historical Society), (Congressional Quarterly Books, 2001) ISBN 1-56802-126-7; ISBN 978-1-56802-126-3. Frank, John P., The Justices of the United States Supreme Court: Their Lives and Major Opinions (Leon Friedman and Fred L. Israel, editors) (Chelsea House Publishers: 1995) ISBN 0-7910-1377-4, ISBN 978-0-7910-1377-9. Hall, Kermit L., ed., The Oxford Companion to the Supreme Court of the United States. New York: Oxford University Press, 1992. ISBN 0-19-505835-6; ISBN 978-0-19-505835-2. Lerner, Max, ed., The Mind and Faith of Justice Holmes: His Speeches, Essays, Letters and Judicial Opinions. Boston: Little, Brown and Company, 1945. Lewis, Anthony, Freedom for the Thought That We Hate: A Biography of the First Amendment (Basic ideas. New York: Basic Books, 2007). ISBN 0-465-03917-0. Menand, Louis, The Metaphysical Club: A Story of Ideas in America (New York: Farrar, Straus and Giroux). 546 pp. Wikimedia Commons has media related to Oliver Wendell Holmes, Jr..
Wikiquote has quotations related to: Oliver Wendell Holmes Jr.
"Buck v. Bell, 274 U.S. 200 (1927)". FindLaw. Retrieved 2009-07-22. "Finding aid for Oliver Wendell Holmes, Jr., Papers, 1715–1938". Harvard Law School Library. "Finding aid for Oliver Wendell Holmes, Jr., Addenda, 1818–1878". Harvard Law School Library. "Oliver Wendell Holmes Jr. – A digital suite by the Harvard Law School Library". Harvard Law School Library. 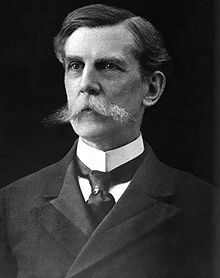 Booknotes interview with Liva Baker on The Justice from Beacon Hill: The Life and Times of Oliver Wendell Holmes, September 8, 1991. This page was last edited on 28 March 2019, at 16:48 (UTC).